There has been much interest over the past decade or so in how the Atkins Diet might help epilepsy sufferers. Low carbohydrate diets were in fact used widely as a treatment for epilepsy as early as the 1920s but fell out of fashion as anticonvulsive medications became available. A resurgence in interest in the low-carbohydrate regimes occurred in the 1990s, particularly for those who had failed to find an effective anti-convulsive. A modified version of the Atkins diet can provide an alternative to more traditional ketogenic regimes, which is simpler to adhere to and easier to manage both at home and when eating out. Although widely used to treat children with epilepsy, this article deals exclusively with the use of the diet for adult sufferers. Whether the aim of the diet is to reduce weight or to control seizures or both, this regime should not be attempted without consultation with your neurologist and more monitoring is necessary than for non-sufferers, such as the use of indicator strips a couple of times per week to measure ketone levels in the urine. 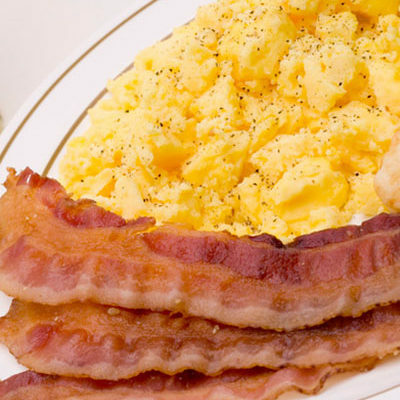 Why does the Atkins Diet work for epilepsy sufferers? Firstly, it is important to note that the Atkins diet does not reduce seizures in all patients, although well over half experience a marked improvement in their condition. Where it does have an effect, this seems to be because given a low level of carbohydrate in the diet, the liver is driven to convert fat in the body into fatty acids and ketones. These ketones replace glucose as an energy source for the brain. 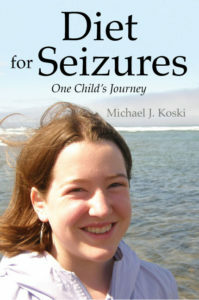 It is the elevated level of ketones which seems to reduce the frequency of seizures. The advantage of the Atkins Diet over more traditional ketogenic diets is its relative simplicity; it requires no measuring of foods, no restriction on protein levels, no calorific restrictions and a slightly higher carbohydrate allowance. It also avoids the need for an initial fast and requires less dietary supervision due to its simplicity. When following the Atkins diet for seizure reduction, which should only be done under medical supervision, the initial introductory phase (Phase 1) is extended indefinitely and fat consumption is particularly encouraged in order to maximize the production of ketones. Carbohydrate levels should initially be no higher than 15g for an adult. There is also no fluid restriction – indeed, fluid intake is essential to maintain good health while on the diet. Dietary supplementation is vital for the duration of the diet and a specialist doctor or dietician should advise on what supplements to take. Here’s how a typical day’s menu might look on the Modified Atkins Diet. Fluid intake is essential on the Modified Atkins diet, so start the day as you mean to go on with a large glass of cold water. Adding a dash of lemon juice will help wake your taste buds up for the day, or you may wish to take your water hot. Caffeinated beverages should largely be avoided as they can encourage sugar cravings, which will make adhering to the plan much harder. Then move on to an indulgent breakfast of either traditional bacon and eggs, or why not enjoy scrambled eggs with smoked salmon. Allow 2-3 eggs per person and around 3 tbsp of double cream each. Black pepper is an ideal seasoning. If you prefer, a cheesy omelette also makes a tasty start to the day. Soft French cheeses such as Brie will melt beautifully and a small handful of green leafy vegetables such as broccoli or spinach can add interest and color. For lunch, a good quality, all-meat burger (check that no rusk or fillers have been used) is an excellent option – without the bun of course. A slice of full-fat blue cheese is a zesty addition, or add blue cheese crumbles to your side salad. This salad can either consist of two large handfuls of green vegetables (baby spinach, Cos or Romaine lettuce or Chinese leaf can all be used, or else a mixed herb salad is a great choice), or you can make a coleslaw by chopping raw cabbage and stirring in 3-4 tbsp of home-made mayonnaise, flavoured with lemon juice. If you wish, you can also chop in a quarter of a raw onion (red or white), but carrots must be avoided altogether. Red cabbage can add visual appeal to this salad and is just as tasty raw as white. As an alternative, an easy tuna pate can be made by mashing a tin of tuna into 4 tbsp full-fat cream cheese. The addition of a squeeze of lemon juice and a grinding of black pepper or a tsp of paprika barely affects your carb count but revs up the flavor. The pate makes a great filling for a green pepper (red peppers are fine from stage 2) or for Little Gem leaves. Strips of Parma ham make handy wraps for sticks of mozzarella. Make sure you keep the mozzarella portions below 3-4 oz if you are following the initial stages of the diet. If you enjoy Indian food then an easy lamb korma can be created by browning some lamb mince with a little chopped onion, a chopped clove of garlic and 2 tsp mild curry powder. Stir in 3 tbsp double cream and some freshly chopped coriander for a fresh green note. Serve with slices of aubergine, fried in olive oil with a little chopped garlic (don’t worry that these will absorb a lot of oil – this will help the diet along enormously) and/or sliced leeks, boiled until tender in lightly salted water and then drained and tossed in a generous amount of butter. Season with black pepper, nutmeg or any herbs you enjoy. 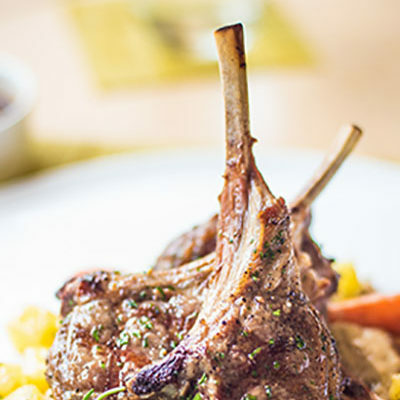 If spice is not your thing, then alternatives include good quality sausages (zero rusk or bread crumbs) served with cauliflower mash, lamb chops served with creamed leeks or try oven-roast chicken portions (skin on) with a sauce created by stirring chopped fresh tarragon and double cream into the pan juices. Roast whole garlic cloves and whole Portobello mushrooms alongside the chicken for an easy vegetable accompaniment. Dessert is not off the cards and can be arranged by stirring 1-2 tsp of Splenda™ into a small bowl of full fat mascarpone and adding 1-2 tsp of cocoa powder (not drinking chocolate or hot chocolate mix). Alternative flavors can be created by using vanilla or coffee essence, always checking for sugar as an added ingredient. For more ideas on how to plan your Modified Atkins Diet or to ask any questions head to our Facebook Group.